Even the tall buildings, like the Shard of Glass, are dwarfed by natures great rainbow. I like the fact that, in all our cleverness, we will never be able to compete with this. Perhaps such sights will keep things in perspective and help to stop the lunacy of destroying our own planet. This entry was posted on September 10, 2013 by Graham in Hats. 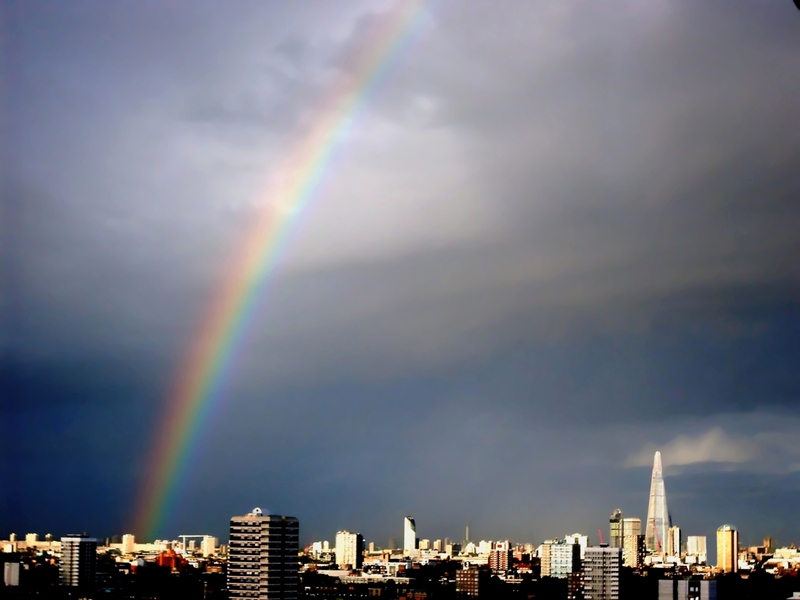 It was filed under Central London, East London, Photography, places to photograph in london and was tagged with nature, photographs, rainbow, shard of glass, sky.